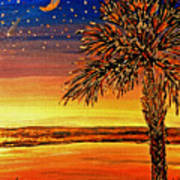 Palmetto Sunset is a painting by Patricia L Davidson which was uploaded on January 13th, 2010. 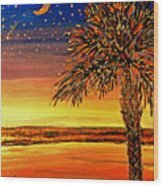 A dynamic palmetto tree with sun setting, moon and stars. Detail with copper color paint adding texture and interest with a raised texture of the moon stars, tree and grasses. This is such fun....the tree almost reminds me of fireworks! I love the effect you have gotten. Thank you all for your comments and kudos! 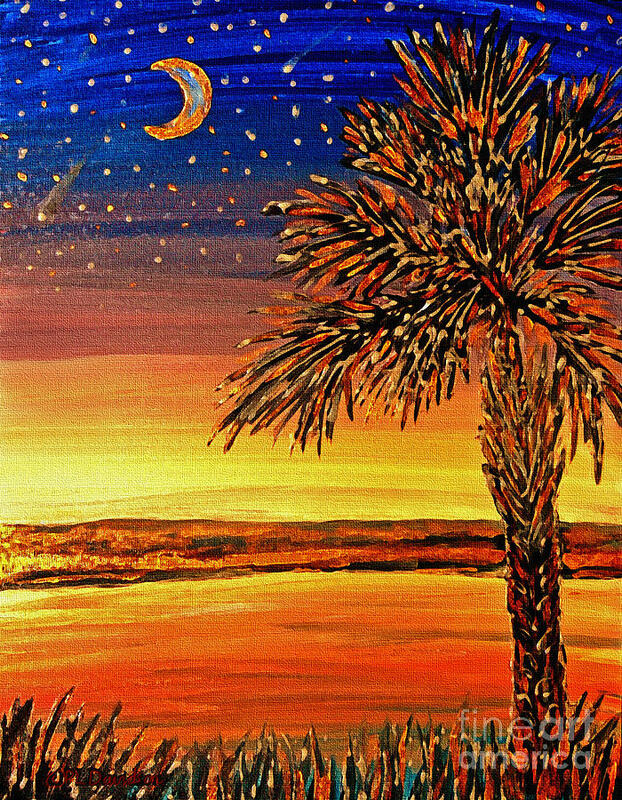 Thumbs up for this beauty...favorite and voted...oh yeah and I live in Palmetto, Florida! Best to you! 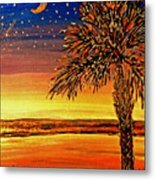 Congrats on your sale today Patricia! I really like the color blends. Beautifully done. Bravo! Thanks Patricia for your kind words. Thought Palmetto Sunset needed to be featured. This is really nice handling of paint, texture and colors!